Herman Hesse Known famously as the writer of Siddhartha, Herman Hesse was a German-born, Swiss poet, who was also a talented novelist and a painter. His other best known works are Steppenwolf and The Glass Bead Game. Each of these works explore an individual's search for spirituality, self- understanding and knowledge and authenticity. He is the recipient of the Nobel Prize in Literature for 1946. He lived through World War II and saw with unease the rise of Nazism in Germany and he also helped fellow writers such as Bertolt Brecht and Thomas Mann escape into exile. He worked in these ways against the Nazi suppression but was not an open dissident. The Glass Bead Game was his last novel when he was already an influential writer and author in the German speaking world. His quotes give about feelings towards other humans such as hatred throw a light into the deep thinking of his mind. He says that hating something in another is about a part of yourself. If it wasn’t a part of ourselves it wouldn’t have disturbed us. 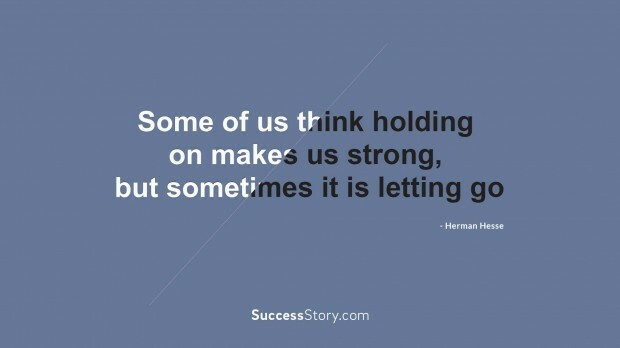 He also leads to show that letting something go a big way of showing that we are strong. He became a household name with renewed interest in his works during the American counterculture (or hippie) movement. His theme of enlightenment was the focus with books like Journey to the East, Goldmund, Siddhartha and Narcissus. His books became a focal point for mis-interpretation for psychedelic descriptions though that was never true. Many schools in Germany are named after him. His works exhibit the duality of spirit and nature of human, body versus mind and the individual's spiritual search outside the rules of the society. His quotes from famous poems and books offer an insight into the profound mind of this great litterateur and give a sense of why they are still read so widely around the world.